James, son of Joseph, brother of Jesus. The James ossuary was on display at the Royal Ontario Museum from November 15, 2002 to January 5, 2003. Copyright 2005 by User Paradiso/Wikipedia (English). The James Ossuary is about the right size for a box holding human bones. This was the custom for burial, two thousand years ago. The box is empty; someone long since took the bones out and buried them somewhere else. According to the antiquities dealer who had it, someone was using it to plant flowers in when he found it. Hershel Shanks, of Biblical Archaeology Review, published his own history of the James Ossuary. He announced it to the world on October 21, 2002. The problem: no one told the Israel Antiquities Authority. Nevertheless, Shanks asked for and got the IAA’s permission to exhibit the object abroad. On November 15, 2002, the James Ossuary went on display at the Royal Ontario Museum. Perhaps a low-level functionary gave permission at first. But as January 5, 2003, the deadline to send the box back to Israel, approached, the higher-ups at the IAA heard about it. When Shanks asked their permission to extend the time, the IAA angrily refused. Then on June 18, 2003, the IAA accused the antiquities dealer, Oded Golan, of forgery. Specifically they said that Golan added the writing himself, and dressed it in chalk to make it look as old as the box. Is the James Ossuary the real thing? 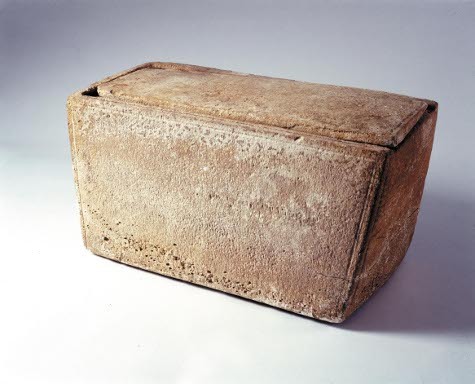 The verdict does not say that the James Ossuary really held the bones of the brother of Jesus. It does say that a government tried and failed to prove that someone forged an ancient writing. Brother Yeshua (“Iesous” in Greek). Fuchs suggests that at least one man named Yaacov,, maybe two, and three men at the outside, had the relatives that the James Ossuary names, in the dates that Lemaire and others have given.